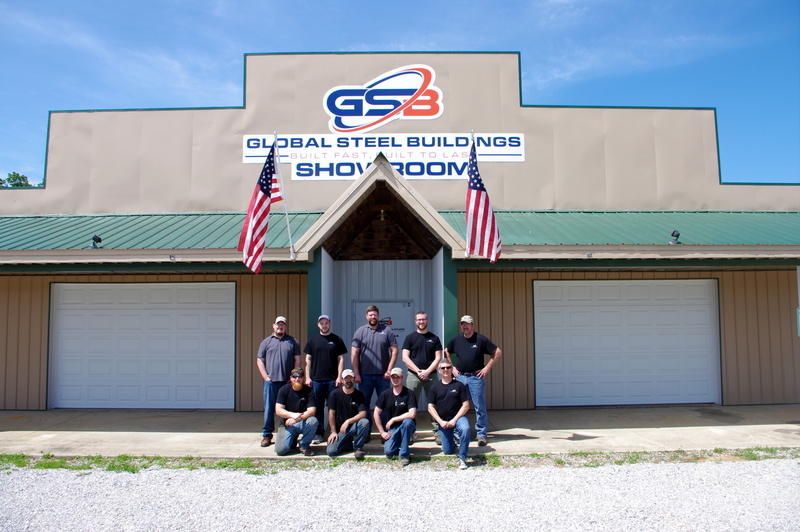 Global Steel Buildings is revolutionizing the way steel buildings are built in America. The heart of our business is and always will be firmly rooted in missions. Since 2011, over 2,700 tabernacles have been built in Africa using the Global Steel Buildings system. Our exclusive hinge boot is at the heart of our simple design allowing you to attach each truss flat on the ground, then walk it upright, closing the hinge. Every building is assembled with common tools like a screw gun, ladder and tape measure. Global Steel Buildings are designed to be stronger, last longer, assemble easier and cost less than any other do-it-yourself building kit on the market. There are no gimmicks. We just want to make the best product around. We pledge complete transparency to our customers. We design, sketch, engineer, manufacture and assemble almost everything we sell right here in West Plains, MO. We use 26-gauge, high-rib steel sheeting for our roofing and siding; the same extra tough material found in commercial applications. With 18 different colors to choose from, you’ll be sure to have a sleek, finished look on your next building. Before you shell out thousands of dollars to have someone else build your next garage, barn or shelter, give us a call at one of our locations. Our do-it-yourself steel building kits will save you time and money.